Snegohog-Ville is a new multifunctional center of winter activities in Sokolniki Park. It is situated on the crossing of Big circle and 6th Luchevoy road. The center opens in the middle of December depending on weather and works from Wednesday to Sunday, from 1 pm to 8 pm on weekdays and from 11 am to 10 pm on weekend. Here you can rent sleighs, snowmobiles for children, winter bicycles and motor-snowboards. Motor-snowboard is a special board with crawler drive for any snow-covered slops, able to reach 40 km/hour speed. It is run like a Segway. Motor-snowboard is designed for adults and teenagers over 14 years. Winter bicycles remind a mix of traditional bicycle and snow race. 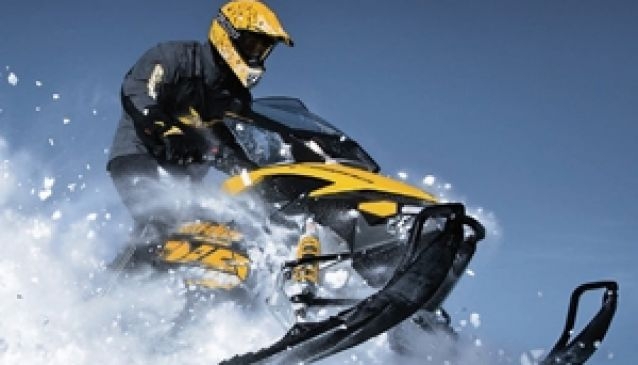 Snowmobiles for children look like professional snowmobiles, but several times smaller and equipped with required safety systems. The visitors of Snegohod-Village can choose 3 different programs, suitable for families with little kids as well as for extreme lovers.